Retaining compact dimensions and therefore excellent manoeuvrability, the BT Levio S-series’ stand-in pallet truck model offers full protection for the driver, who stands transversely. Ideal for intense material handling operations requiring loading and unloading over long travel distances, this powered pallet truck is both safe and comfortable. 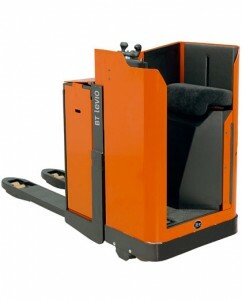 The BT Levio LSE200 stand-in pallet truck is built around the customer values of simplicity, safety, productivity and durability. 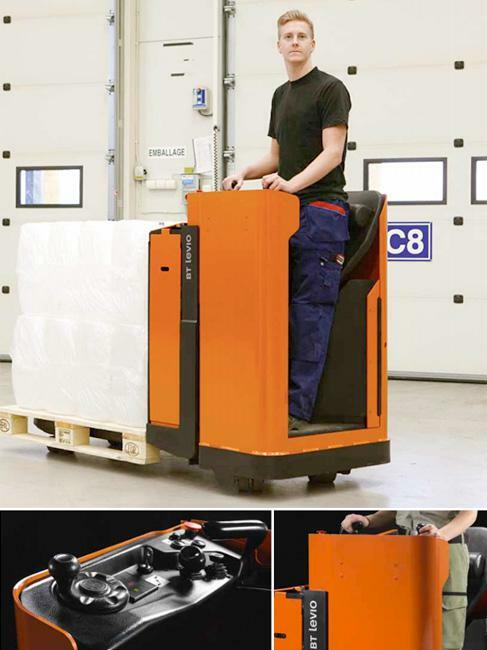 Offering excellent operator comfort, this powered pallet truck enables multi-directional truck operation without the driver changing position – increasing flexibility and productivity. The truck fork bogie wheels allow easy entry into most load carriers, and also improve handling on gradients and uneven surfaces.